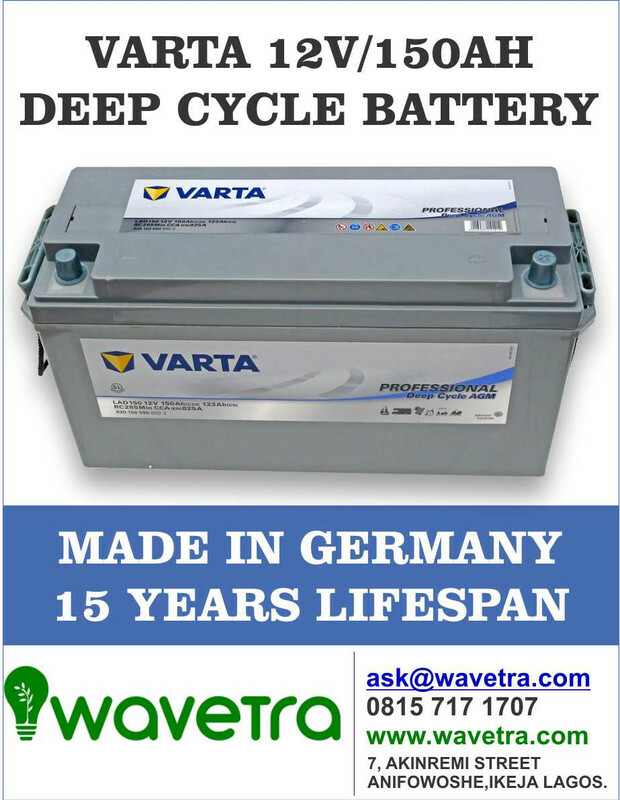 Where to buy Varta deep cycle Inverter and automotive batteries in Nig Where to buy Varta deep cycle Inverter and automotive batteries in Nig — Wavetra Energy LTD.
You can now buy genuine Varta deep cycle batteries and automotive batteries in Nigeria from a verified distributor. 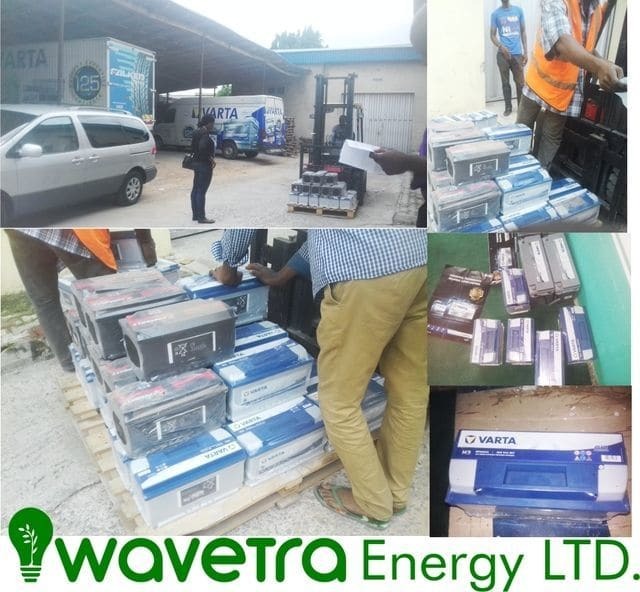 We are proud to let you know that Wavetra Energy LTD. is now authorised to sell and distribute Varta deep cycle batteries and automotive batteries in Nigeria. Automotive and Starter batteries are the batteries for all vehicles, generators, heavy and light duty trucks, generators, motorcycles, golf carts and boats. Deep cycle batteries are the batteries for your solar/Inverter system. It can also be used to power leisure boats, utility vehicles and other heavy duty applications that requires deep discharging and recharging of the cell for a very long period of time without damage to the battery within this period. Delivered to Naval base Apapa. Nigerian navy loves Varta too. VARTA was founded by Adolf Müller in 1887, and established in 1904 as a subsidiary of Accumulatoren-Fabrik AFA. After World War I, VARTA together with AFA was acquired by German industrialist Günther Quandt and Industrialist and VARTA-CEO Dr. Carl Hermann Roderbourg. After World War II, most of the VARTA shares passed from Günther Quandt to his son, Herbert Quandt. The plates in VARTA® (since 1887) Professional Deep Cycle battery 12V 150AH has a higher-density active material than standard automotive and Inverter battery plates, enabling it to withstand the stresses of deep cycling without the loss of active material or capacity. 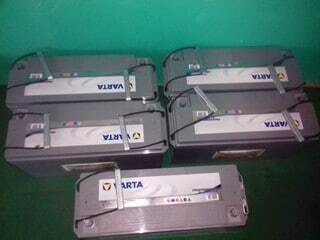 We stock different ratings of your desired Varta deep cycle and automotive batteries in our ware house and store. IMPORTANT: Please confirm the manufacture's recommended specification and battery type for your machine and installation before placing order. You can request that we send you the specifications of the product and also the product picture before you place order.